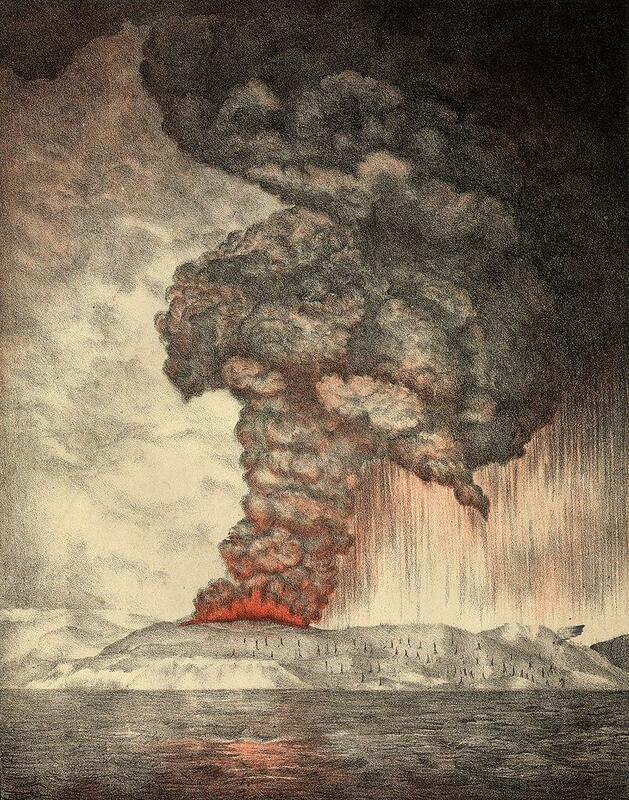 Eruptions were first reported in the Sunda Strait in May of 1883; Krakatoa subsided, but then obliterated itself. Simon Winchester's 2003 book, Krakatoa, the Day the World Exploded, describes twenty hours and fifty-six minutes of paroxysm - leading to a gigantic explosion at exactly two minutes after ten o'clock Monday morning, August 27th. Credible witnesses report hearing what most believed to be naval gunfire as far away as remote Rodriguez Island - almost 3,000 miles distant. While about 100,000 died from the direct effects of the eruption, more than 35,000 perished in gigantic tsunami waves reported to be over 100 feet high in some places. The island itself vanished. An estimated six cubic miles of material showered down as pumice and ash, or rocketed into the stratosphere. Its effects included a worldwide drop in temperature of about one degree fahrenheit. And the study of Krakatoa's sky borne aerosols led Hawaiʻi's Reverend Bishop to an understanding of what came to be known as the jet stream. Winchester argues that the misery and terror caused by the explosion contributed to the adoption of Islam in what's now Indonesia. Sunday's tsunami is thought to be the result of an underwater landslide following an eruption, but Winchester wrote that an event on the scale of 1883 is just a matter of time. 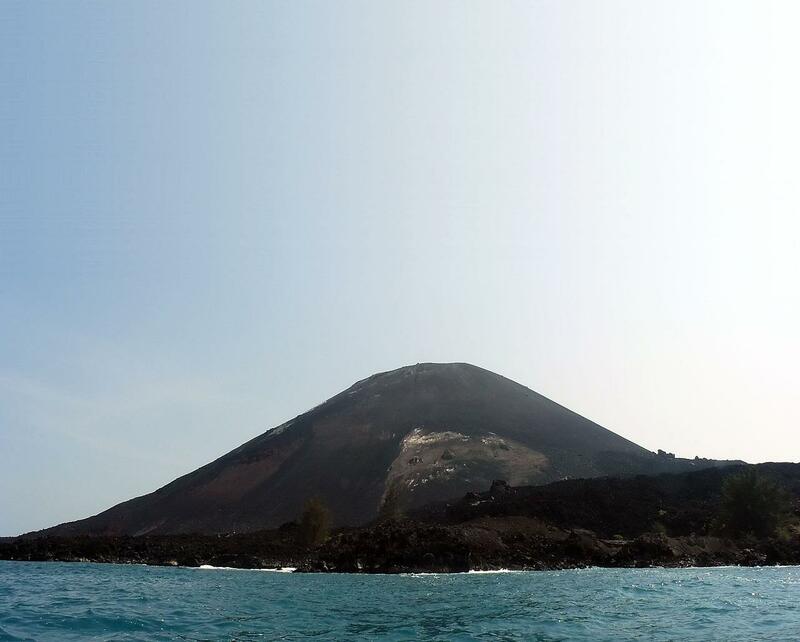 That the realities of geology, seismicity, and tectonics ensure that what happened once at Krakatoa will repeat itself, and in precisely the same way.